Which Super Bowl is the greatest of all time? Here are our top 10. Time has distanced fans from the reality of just how monumental the Jets' 16-7 upset was in the first officially-named Super Bowl. Brash Jets quarterback Broadway Joe Namath famously guaranteed victory over the 13-1 Colts, who had allowed the fewest points in an NFL season. He delivered in workmanlike fashion by relying on his ground game, eight receptions for 133 yards by receiver George Sauer, three field goals by Jim Turner, and an opportunistic defense that picked off Colts QBs Earl Morrall and John Unitas four times. 2 of 10 Walter Iooss Jr. 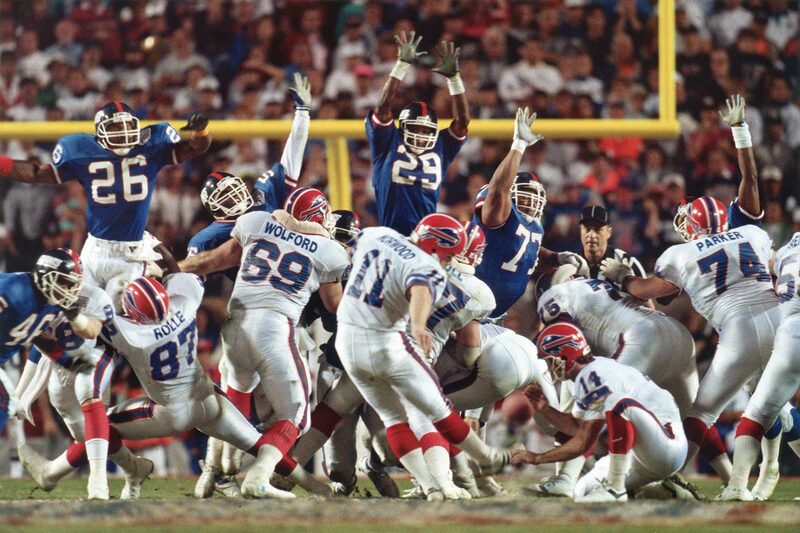 The Bills' first of four straight Super Bowl appearances was their best chance to win one. They were 13-3 and had handled the Giants during the regular season. New York was forced to turn to backup quarterback Jeff Hostetler after Phil Simms was lost to injury for the season. But the Giants masterfully used a ball-control offense to keep Bills quarterback Jim Kelly and running back Thurman Thomas off the field for 40 minutes 33 seconds and led 20-19 in the final seconds. Yet, they still weren't safe. Kelly led one last desperation drive only to watch Scott Norwood's winning field goal attempt of 47 yards sail infamously wide right. The play could have tied the score at 21 late in the third quarter and, perhaps, punctuated Jackie Smith's storied career with a happy exclamation point. But Cowboys quarterback Roger Staubach screamed and convulsed when his easy touchdown pass bounced off the Hall of Famer tight end's hands. Coach Tom Landry winced. Broadcaster Verne Lundquist captured the pained emotion of the moment perfectly: "Bless his heart. He's got to be the sickest man in America." He was. Dallas settled for a field goal and though it scored two touchdowns in the fourth quarter, so did the Steelers, who won the shootout, 35-31. The furor over Janet Jackson's infamous "wardrobe malfunction" at halftime overshadowed a thriller that started slowly. After a record 25 minutes and 55 seconds of scoreless play, the two teams exchanged 24 points in the final 3:05 of the second quarter, with the Patriots grabbing a 14-10 lead. By the fourth quarter, the score was tied at 29. The contest wasn't settled until there were four ticks left on the clock. 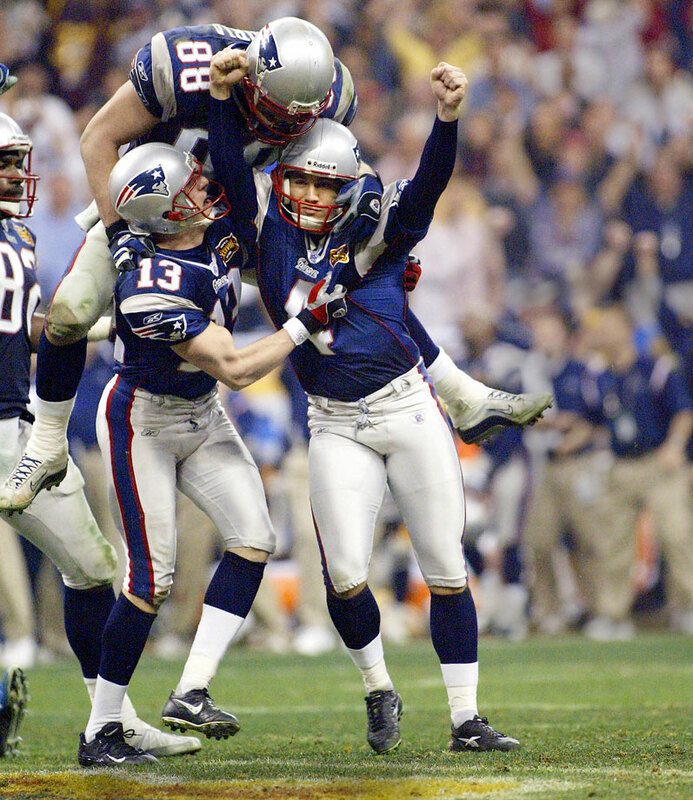 Adam Vinatieri's 41-yard field goal gave the Patriots their second championship in three seasons. The score was only 3-3 at halftime, but fireworks were in store. 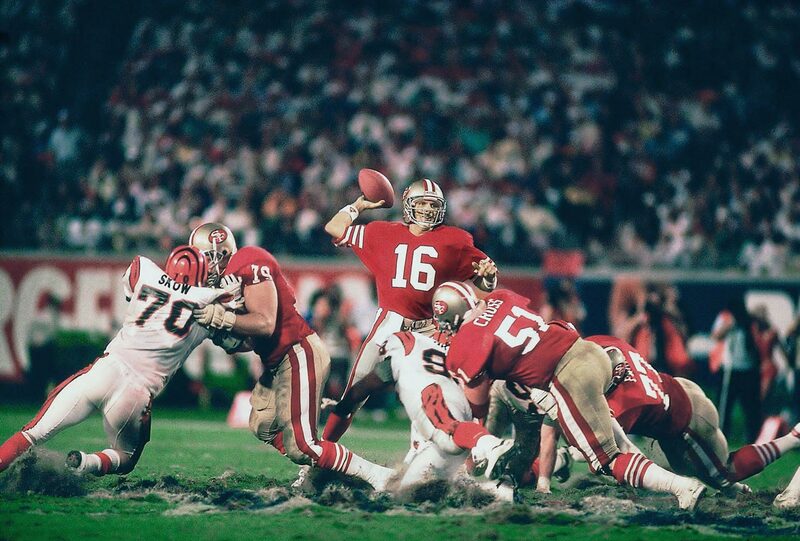 After the Bengals went ahead 16-13 on Jim Breech's 40-yard field goal with 3:20 left in the game, Joe Montana saved the 49ers in perhaps the greatest individual moment of his career. The otherworldly cool, efficient quarterback drove his team 92 yards in 11 plays, culminating with a 10-yard TD pass to John Taylor with only 34 seconds left. Kurt Warner and the Rams' Greatest Show On Turf offense were leading 16-0 in the third quarter when Steve McNair rallied his Titans, who tied the score at 16 with 2:12 left in the game. Warner responded with a TD bomb to Isaac Bruce on the Rams' next play. McNair refused to give in, driving the Titans to the Rams' 10 with six seconds remaining. Wide receiver Kevin Dyson caught a pass at the five, but fell an agonizing half-yard short of the goal line as Rams linebacker Mike Jones, in one of the Super Bowl's great defensive plays, made the game-saving tackle as time expired. That inexplicable thing called momentum probably never felt so real and fateful as it did on a remarkable 100-yard interception for a touchdown by Steelers NFL defensive MVP James Harrison. It happened on the final play of the first half, turning a likely four-point Cardinals lead into a 10-point edge by the renowned Steelers. But Kurt Warner and Larry Fitzgerald refused to fold, leading the way to a 23-20 edge late in the fourth quarter. And then just as suddenly, Ben Roethlisberger found Santonio Holmes four times in what would be the game-winning drive, including a tip-toeing touchdown reception with 35 seconds remaining as Pittsburgh won its second Super Bowl in four seasons, and record sixth. The Seattle Seahawks led the New England Patriots 24-14 with eight minutes left, but Pats quarterback Tom Brady — coming into the game amid Deflategate controversy — led two 60+ yard drives with two passing touchdowns to take the lead. In arguably the worst play call in Super Bowl history, Seattle Seahawks head coach Pete Carroll called for a pass on 2nd and goal with his team needing one yard in three downs to score the winning touchdown. New England Patriots cornerback Malcolm Butler stepped in front of wide receiver Ricardo Lockette to take the ball, and the game, away with 26 second remaining. 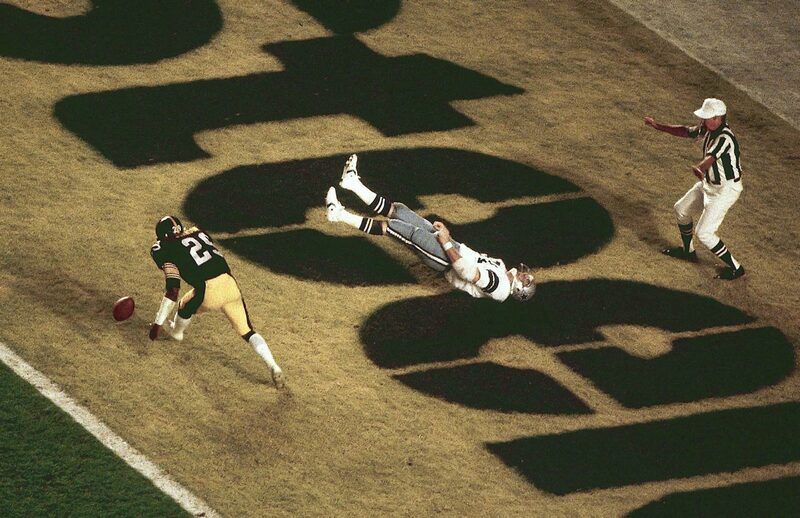 When arguably the greatest play in Super Bowl history is crucial to the winning drive against an undefeated, seemingly invincible team, you've got a valid case for this one being one of the best ever. After New England took a 14-10 lead late in the fourth quarter, Eli Manning led the Giants on a gritty 12-play, 83-yard drive in the final minutes. 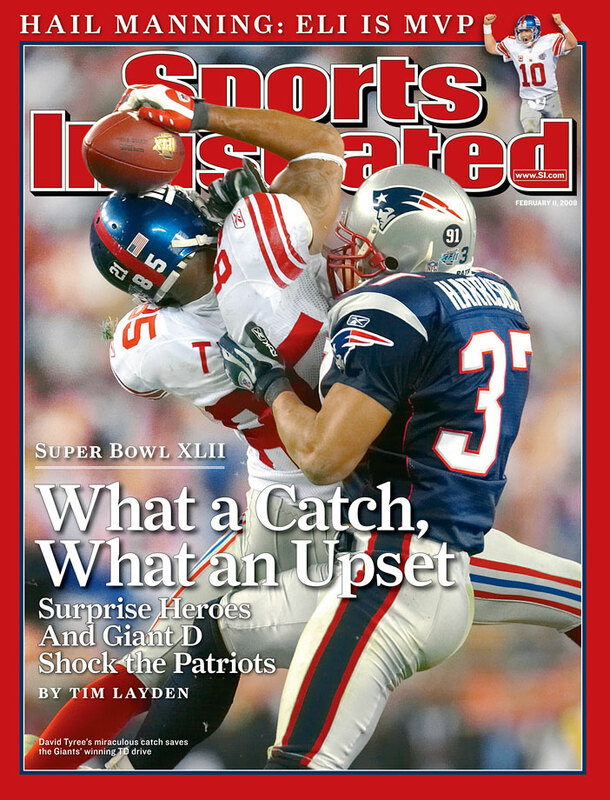 It included his improbable escape from the clutches of the Patriots pass rush and 32-yard heave that David Tyree somehow caught and held to his helmet as he was tackled by Rodney Harrison. Four plays later, Plaxico Burress caught the winning TD with 35 seconds on the clock, ending New England's dream of 19-0 perfection. The first Super Bowl to be decided in overtime also produced the biggest comeback in league championship history as the New England Patriots overcame a 28-3 deficit to defeat the Atlanta Falcons.